Two Chicks On Books: Authors ARE Rockstars: Featuring Katlyn Duncan and a Giveaway!!! 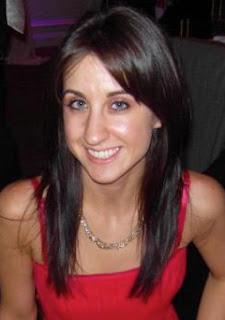 Authors ARE Rockstars: Featuring Katlyn Duncan and a Giveaway!!! Today is a really cool one for me! I get to feature a debut author who was a book blogger and she's here to tell us her story about her transition from blogger to author. Why do I think Katlyn Duncan is a Rockstar? Quite simply it's because she did what a lot of book bloggers dream of. She wanted to be a writer and she succeeded! She proves that if you want something hard enough you can get it. It may not be easy but your dreams can come true! Ok so let me introduce you to Katyln! Now on to Katlyn's Post! 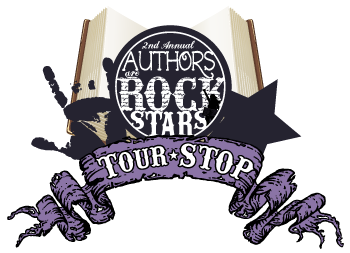 I'm so happy to be a part of the Authors Are Rockstars event! Last year I was looking in from the other side as a blogger on I Just Wanna Sit Here and Read!. So today I'd love to talk about my transition from blogger to author. I've always been a "writer", even before I had a computer in my house (gosh I'm old). As a child, my parents encouraged me to write in journals and I started sometime in middle school. I have dozens of journals outlining my daily activities such as what I wore what day (I thought that would be important for my future self to read), if my current crush made eye contact that day, and other random thoughts. Along with the journaling came the outpouring of story ideas, stemming from any situation. The 'what if' questions would pop up and eventually I separated my "real life" journals from the fiction. I always enjoyed acting and I participated in many plays throughout the years, so my first venture into writing were play and movie scripts. To be honest, I never saw myself as a novelist. Authors were like my movie star idols: Untouchable. I couldn't see myself as Jennifer Aniston just as much as I couldn't see myself as Lois Lowry (my favorite book of all time is The Giver). But as technology advanced, I started exploring the internet and came across book review blogs. I soon realized that bloggers were regular people just like me talking about books that they loved. I put aside my creative writing for a bit and focused on reading and writing reviews. The further I got into blogging, the closer I felt to the authors. With Twitter and Facebook, these people I admired became less untouchable. Some had full-time jobs outside of writing, yet they still did what they loved and shared their stories with the world. I realized that if I put my heart and mind into it, I could do that too. I kept up blogging but started to slow down a bit and focus a little more on my own writing. But last year around this time, a personal situation threw me for a loop and I knew I had to take a break and reassess what I really wanted out of my life. So I did what I swore I'd never do and took a hiatus from blogging. I found writing my greatest escape and even though some days I just wrote how I felt through my characters eyes, it helped me get through a tough situation. I started working on an abandoned book again and when the call for feedback came through from MIRA, I remember there was a subtle click in my head telling me to do it. And I did. Several months later, I got the call from Carina UK (to read more about my "call" you can check out my post HERE and the rest is history. In terms of how my life is different now, even after four months of being an "author", my life is still changing. I have grown so much through this process and met so many wonderful people. Where I used to write when I felt like it, now I write because I am on deadline. My free time revolves around my deadlines. Where I used to be able to sit down and watch TV after dinner, I now pound the keyboard until the late hours in the night, constantly perfecting my story as best I can for my readers. The Carina UK team has been the absolute best. I believe it's kismet that I connected with this fabulous imprint for two main reasons: 1. There was a time that I wanted to self-publish digitally since I felt my story didn't really fit into a structured genre category. And 2. Harlequin is one of my favorite publishing companies. Whenever a new Harlequin book came on my radar I knew I would love it. Several of my favorite series are from Harlequin as well, Julie Kagawa's Iron Fey series, Rachel Vincent's Soul Screamers series, and Maria Snyder's Inside series just to name a few. I love my editor to pieces and it's still amazing to hear her talk about my characters and actually believe in my writing. And of course they've come out with some spectacular covers (I'm dying to see the cover for Soul Possessed!). So overall, it's been quite an experience for me in this transition from blogging to becoming an author. If I hadn't been a blogger, I don't think I would be in the position I am at this moment. And I am loving every second of it and I wouldn't trade it for the world. Here's some info for the book! I'm super excited to read it! After-life just got a lot more complicated Maggie is a Soul Collector. It’s her job to transport souls from the Living Realm to the After – but during a mission to find a stolen soul, she ends up stuck in a teen mean girl’s body. Trapped, Maggie’s soul is catapulted into Ally’s life – and the human world she hasn’t experienced for one hundred years. But, as a descendant of the most powerful beings in the After, Maggie must rescue Ally before the girl’s soul dies… To survive, Maggie must uncover devastating secrets – because with one soul taken by a terrifying enemy, Maggie’s could be next! "No," I moaned. I looked up again to see if any of the Guard could help, but no one was around. "What the—?” I tried to pull back but the strength of whatever was happening had other ideas. My hand disappeared first, then my arm, then my torso. But before I could call for help, my world went dark. One lucky winner will receive an eBook of Soul Taken from Katelyn via Amazon. US Only. To be honest, this is the first time I've heard of Soul Taken, so thank you for introducing me to a new book and author!! 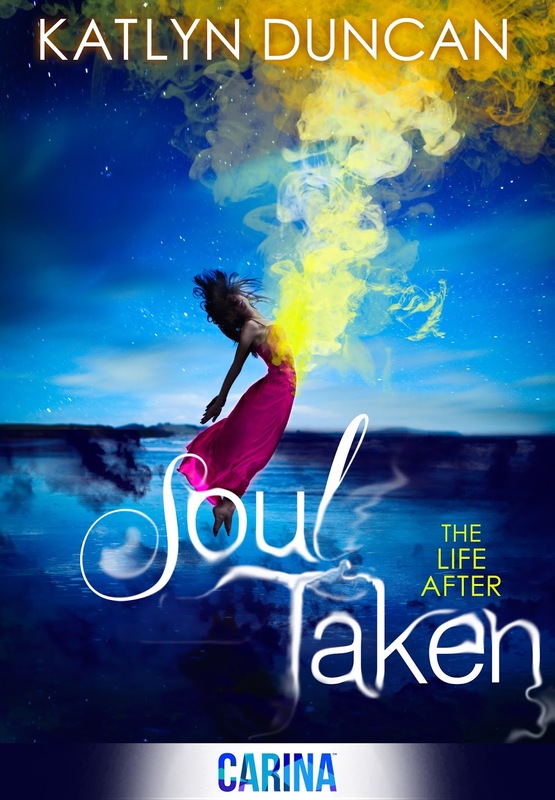 The trailer looks amazing, the cover is beautiful and I cannot wait to get my hands on a copy of Soul Taken!! That's such an incredible story Katlyn! Good luck to you in the rest of this series and whatever else you come to write! Great concept, I'm looking forward to reading it. Love the cover too, thanks for the giveaway. This sounds like an excellent idea. I love it! I've been waiting to read this book for a while - it just sounds so good! congrats to Katlyn on the new release! Thanks for sharing! Beautiful cover! This book sounds good! I must check this out! A soul-collector sounds interesting! Wow! That's awesome that you used to be a blogger! And that had to be a super hard decision to choose to stop and fully devote your time to writing. That's awesome! I am so looking forward to Soul Taken, I've seen it promoted in a few blogs now and each time I find myself double checking Goodreads to make sure I have it in my TBR list. I'm currently a book review blogger who is writing my own book, so it's great to read about Katlyn's transition from one to the other. Soul Taken looks like such a great book! Sounds like an awesome book! Love the cover, too! I cannot stop looking at that cover!